I haven’t done one of these posts in a long time, so I’m going to correct that now and send the blog on vacation on a positive note. Earlier this month at Boston ComicCon, where I was working the Storied Threads booth with my wife, I was walking the dealers’ floor before opening to see what was out there. 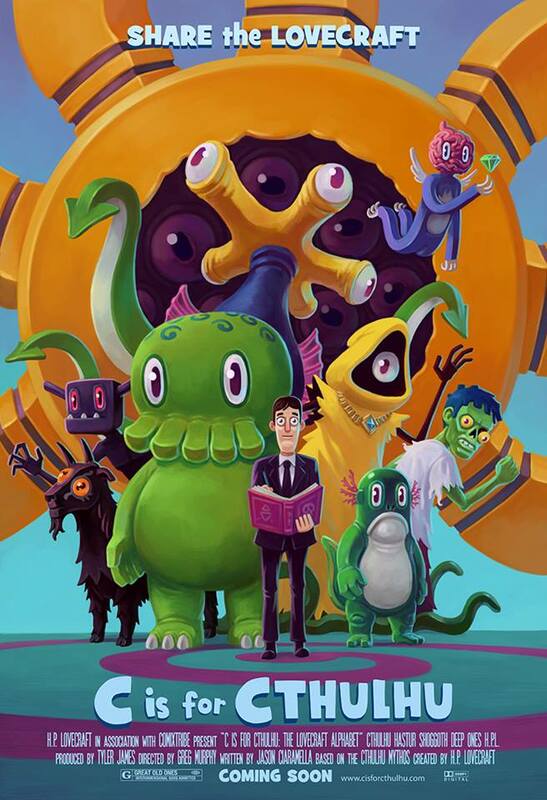 I like to buy at least one thing for myself at every con, and I found my one thing in the form of C is for Cthulhu – The Lovecraft Alphabet Book by Jason Ciaramella and Greg Murphy. What first caught my eye was the poster at right, which made me laugh so hard I thought to myself, Yep, this is what I’m spending my money on. I was quickly talked into also snagging the book, and I’m glad I did. Every single page is a delight. If you’re a fan of Lovecraft’s work, or know someone who is, grab it for them. You won’t be sorry. Click on the image below to go to Amazon and buy it now! Who Wants A Free Bookmark?